Have you ever wanted to know more about olive oil but didn’t know where to look or who to ask? 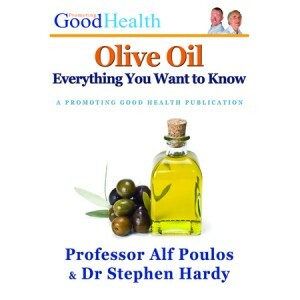 In “Olive Oil”, Professor Alf Poulos and Dr Stephen Hardy make it easy by reviewing the latest research to explain what olive oil is; how it is made; what you can use it for; how to spot quality and why it is good for you. While written for the layman, “Olive Oil” does not cut corners, with sufficient detail for the working scientist or those who want all the facts. Well illustrated and written in a clear, easy to read style, this book contains practical information to help you make the most of a food described in Greek mythology as a gift to mortals from the Gods on Olympus.